Today was the end of the building that was home to a variety of business over the past decade or so. 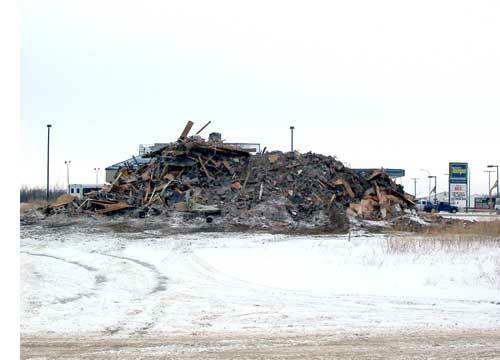 The brick and metal structure was knocked down and will soon be hauled away as the site is prepared for construction of a new Super8 Motel. 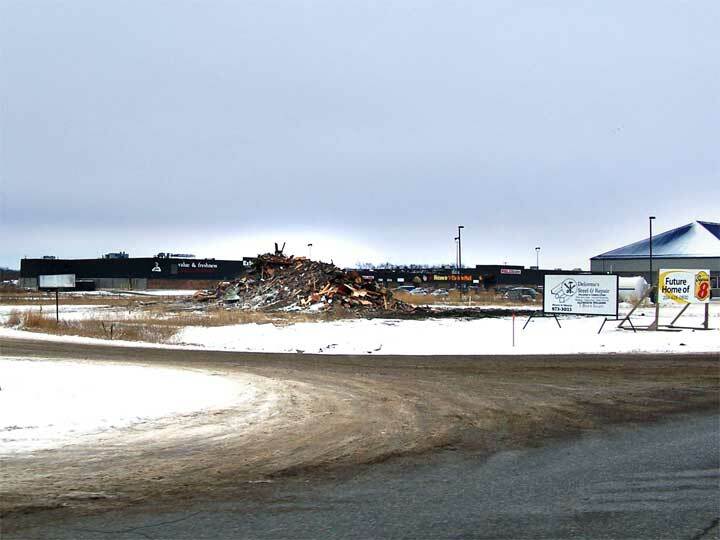 Tisdale is remarkably short of visitor accommodation with its two hotels and two motels special events in the past have resulted in participants having to find lodging in Melfort. The new facility will add considerably to the number of rooms available and improve Tisdale's ability to put on Provincial competitions.